On Nov 28, 2016, at 11.12 a.m. the cargo m/v "Forward" was in collision in the Anadolu Hirasi area with the "Wadi Al Karnak" near the 2nd Bosphorus Bridge which was transiting Bosphorus in southern direction. The traffic was suspended from 2.03 pm. until 3.06 p.m. The bulkcarrier was moored at the Zeytinburnu Anchorage after transiting the strait, the "Forward" was more serious damaged. She had suffered rudder failure prior to the collision and headed in northern direction in the Bosphorus towards the Beykoz area assisted by a tug. 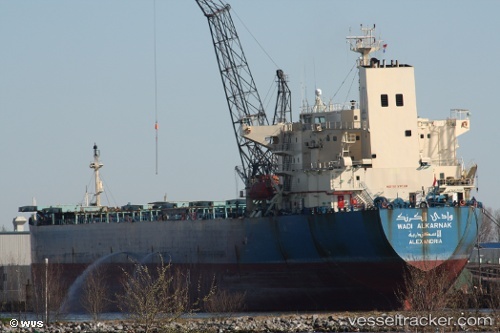 She had been en route from Kerch to Bandirma, the bulkcarrier was underway from Novorossiysk to Alexandria.